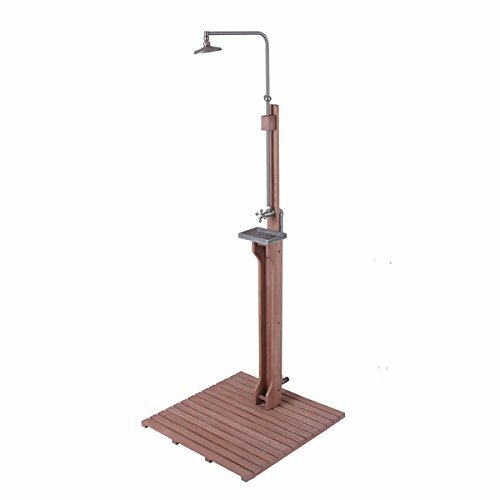 Embrace ease and efficiency with a weathered mahogany finish outdoor shower. Whether you're cooling off after a sunny day by the pool or are washing off after outdoor activities, using the rust resistant solid brass fittings and the mahogany polyurethane coated frame will prove to be enjoyable and, ultimately, necessary. This easily assembled outdoor shower hooks up to an outdoor spigot and can be adapted for hot water.